Here are five ways that your tax returns can be prepared for free. As the tax season kicks off, many Americans are turning to paid tax professionals to file their tax returns, especially when their tax situations are more complicated. H&R Block, a well-known tax preparation company, reported that the average fee per tax return was $198 from its franchised tax offices in 2013. But, for many Americans, the annual financial chore can be completed for free. The IRS has partnered with 14 commercial tax software companies, including TurboTax, TaxACT and H&R Block, to provide free tax return preparation for eligible taxpayers — each participating company has its own eligibility requirements. Called the Free File program, it is available only to those who have an adjusted gross income of $58,000 or less. While eligible taxpayers can file their federal taxes for free through the program, some companies may charge to file state tax returns. The Volunteer Income Tax Assistance (VITA) program offers free tax return preparation for taxpayers who earn $52,000 or less. The program enlists IRS-certified volunteers to provide tax help in certain communities. These volunteers will also assist any tax return filers who need guidance in learning to prepare their own tax returns. Thousands of VITA sites are open between January and April throughout the country. The IRS provides a VITA locator tool to find a site near you. The IRS also operates the Tax Counseling for the Elderly (TCE) program through which IRS-certified volunteers help seniors with tax return preparation. The TCE program is available to people who are 60 years of age and older. The TCE sites are largely operated through AARP Foundation's Tax-Aide Program. Use the AARP locator tool to find a participating site. Volunteers are trained on issues and benefits that affect the taxes of military members. Most military servicemembers can easily find free tax return preparation through the VITA program by the IRS. 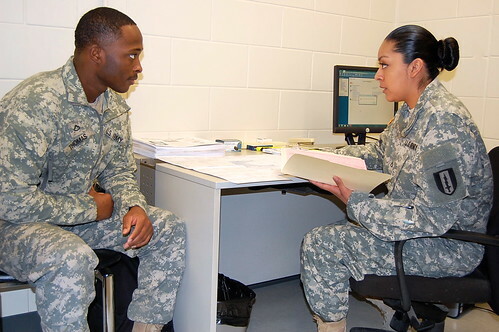 In many cases, military personnel will find tax help on their military bases. Additionally, some tax prep software companies — including TurboTax and TaxSlayer — offer free programs for military personnel. Many other companies and organizations are working with local tax preparers to provide free tax filing assistance. For instance, KeyBank is working with tax prep companies to offer free federal income tax preparation to low- and moderate-income workers in 15 metropolitan areas. And, the bank doesn't limit the program to KeyBankcustomers. Consumers can contact local financial institutions to see if they are offering any similar programs in the area.